In-depth interviews with 15 children highlight the need for policy makers and divorcing parents to listen carefully to children in order to understand children's needs and the way children interpret the situation and their own role in it. In developing policies for children, children's own voices should be heard. Solberg (1994) emphasises the importance of attempting to see children as they are. If adult 'experts' are to make decisions for children, they need to take into account the way children experience and react to their circumstances, both past and present. This is best done by talking to children, for children are the 'experts' when it comes to their own perceptions, aspirations, worries, joys. 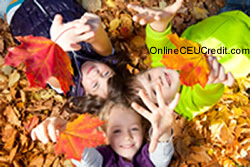 Adults should also treat children as active participants in social exchanges. In both research and policy making, there is a tendency to view children as products of social processes and to ignore the fact that children, like adults, often play an active role in shaping such social processes. Over 60 years ago, Mead (1934) pointed out that humans are agents in their own lives, with the capacity for self-evaluation. According to this perspective, children develop the ability to reflect upon their own behaviour, and their self-appraisal (or self-esteem) evolves through their interaction with others in their social world. This view of children differs considerably from that implied by the concept of 'socialisation', which holds that children's behaviour is an outcome of social processes, ignoring the active role children play in shaping such processes. Like adults, children continually interpret events in their personal world. All agents in a situation will appraise the situation differently, and each perspective helps throw light on the entire situation or social interaction. Charon (1998) noted that the past provides the tools to define the present, while Thomas and Thomas (1928) emphasised the fact that if people define situations as real, then they are real in their consequences. Thus, the way in which children (and adults) define their situations will influence their reactions to them; they will act according to the meaning that the situation holds for them. Further, they will use their experiences of the past to understand the present. Reactions are thus difficult to predict in the absence of information about the personal meaning attributed to events. The Children's Perspectives on Divorce study was designed to address two questions: How do children recollect their parents' separation -- that is, the time when their father left home? How do children adjust to their reorganised family and everyday life, with their father and mother living in separate households? Answers to such questions should help inform policies directed towards achieving the best outcomes for children whose parents divorce. The study represents an offshoot of large-scale research into the consequences of divorce for children's upbringing -- research that was undertaken in Norway by a research institution (ALLFORSK), in conjunction with the University of Trondheim, the College of Trondelag, and the College of Oslo. The project was funded by the Norwegian Research Council and the Government Department of Children and Families. The large-scale research was based on a sample of 818 parents who divorced in either 1992 or 1995 and who had at least one child under the age of 18 years at the time of the divorce. Fifteen children (ten girls and five boys) from ten of these families were interviewed. At the time of the interview, all except one child (a 16 year old) were aged 4-13 years, and their parents had been separated between three and five years. All were living with their mother, only one of whom had repartnered. With such a small sample, no assumptions are made about whether or not the views of the children reported here apply to others who have experienced parental divorce. However, the small-scale nature of this study enabled the investigator to spend a great deal of time with the children, exploring the meaning of parental divorce in far greater depth than is usually possible. The results of this work may thus be helpful in the development of research questions about the meaning of parental divorce for children -- questions that can be examined in large-scale studies. Each child was interviewed in depth by the author, and interviews were taped. Most of the interviews were held in the child's own room, although some took place elsewhere (for example, a sandpit, a backyard) at the request of the child. The child was invited to play an active part throughout the entire interview process and was treated as an 'equal'. It was made clear that there were no 'right' or 'wrong' answers, that the child was the 'expert' regarding personal thoughts and feelings, and that the child's right not to disclose information would be respected. The child set the balance between play and talk, and there was no 'set recipe' of questions. Following Levin's (1993,1994) approach, when rapport had been established, the children were asked to list the members of their 'family' (however they defined it) and then to draw their family -- using stick figures. The drawings were the starting point for the questions. (Some of the children's family drawings accompany this article.) They were then asked to recall their experiences when their father left home and their current experiences. While much of the literature emphasises the need for separating parents to sit down and talk to their children about what is going to happen (Nissen 1988; Burns and Dunlop 1999), it should not be assumed that such a discussion is understood by children. In fact, it is difficult for children to recount conversations which they did not understand at the time, and whose personal relevance was thus unclear to them. It is thus important for parents to understand the way in which children interpret the explanations given to them and to continue the dialogue as the situation of separation and divorce unfolds. While children were unclear about how their parents explained the separation to them, most were well able to articulate they way they felt when they came to understand the situation. The exceptions were the youngest children (12 months to four years old at separation) who had no recollection of events of that time. Some of the older children reported feelings of shock and disbelief and these children tended to report that their parents did not show any feelings when they informed them of the impending separation. Others reported sadness and despair, and indicated that their parents openly expressed their own despair in different ways. For some of the children the separation did not seem to make much difference. One boy's father had worked in another town for several years, only coming home to be with the family on weekends. The interviews generally suggested that at the time of the separation the children wanted their parents to continue to live together. Gradually, as new experiences broadened their frame of reference, the attitudes of the children tended to vary from one another. What two questions were the focal point of Sviggum’s study? To select and enter your answer, go to the Answer Booklet.